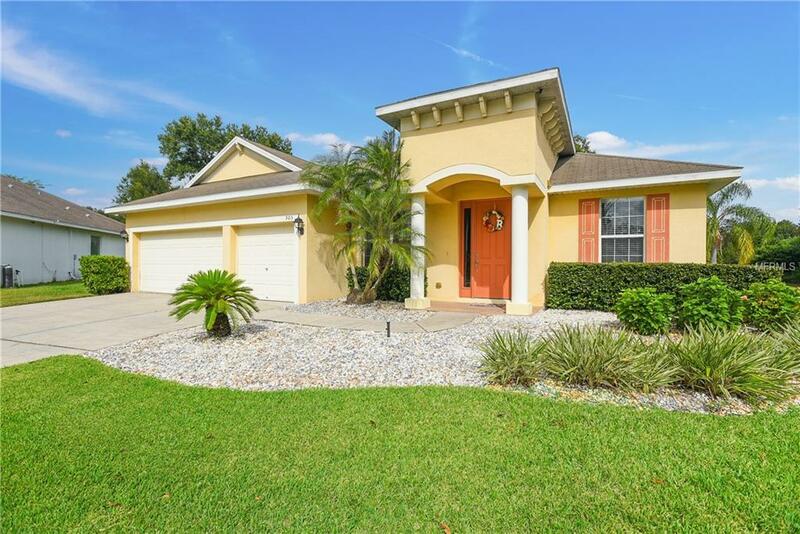 WELCOME HOME to the desirable community of LAKEWOOD RIDGE ESTATES! Pride of ownership shows in this 4-BEDROOM, 2-BATHROOM home that is perfectly MOVE-IN READY and offers a 3-CAR GARAGE and LARGE, OPEN PIE-SHAPED LOT and CONSERVATION behind! Enjoy a wonderfully clean and maintained space with BRAND NEW CARPET throughout and a family-friendly split-bedroom layout. The beautiful kitchen features CRISP WHITE CABINETS, STAINLESS STEEL appliances, GRANITE countertops, and an EAT-IN AREA, in addition to the formal dining room. Utilize the extra space in the front of the house for an office/den or additional living space. The MASTER RETREAT features DOUBLE CLOSETS and a wonderful EN SUITE BATH that includes a LARGE SHOWER and GARDEN TUB. Enjoy Florida evenings on the WIDE-OPEN PATIO, complete with CUSTOM PAVERS and PERGOLA, looking out onto the LARGE BACKYARD with TREES behind. This community is conveniently located near everything that Brandon has to offer! Dining, shopping and easy access to all major highways for commuters. Don't miss out! Make your appointment today to see this home and make it YOURS! Additional Lease Restrictions Lease Restriction Info Is Accurate To Best Of Sellers' Knowledge. Buyer/Buyer's Agent To Verify With Hoa.